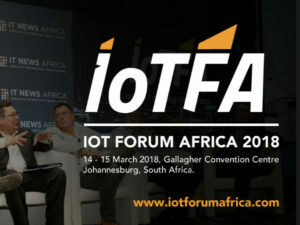 The New Partnership for Africa’s Development (NEPAD), an economic development program of the African Union, has thrown its weight behind Internet of Things Forum Africa (#IOTFA), slated for the 14th and 15th of March 2018 at the Gallagher Convention Centre in Johannesburg, South Africa. Under the theme, “Powering a new era of operational transformation,” IOTFA 2018event will showcase the leading developments in IoT with an array of 30+ expert speakers. IOTFA 2018 will offer a platform for organisations to present their IoT solutions and brings together ecosystem-wide attendees, stakeholders and investors. Internet of Things Forum Africa will also provide a unique opportunity to meet key players within the IoT marketplace.